The mass trainwreck that is DC Films continues to pile up on the cinematic freeway. The one guy many saw as a potential savior, Joss Whedon, didn't really save a darn thing when it came to Justice League, but there was hope that his Batgirl project would do the trick. It is, in theory, exactly what he's good at. Strong female superhero from the guy who gave us Buffy the Vampire Slayer. Well...nah. It's not happening, and Whedon admits it's his fault. THR confirms that Whedon has exited the project, which is really the only thing he had going on at DC Films. So who knows where that leaves him. Anyway, Whedon says the reason for his departure is that he just couldn't figure out a story to tell. Dude, there are like a million Barbara Gordon stories out there. Pick one. 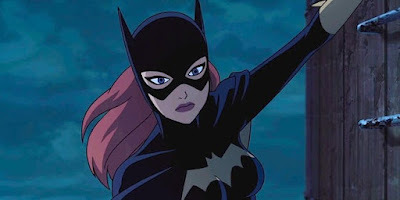 "Batgirl is such an exciting project, and Warners/DC such collaborative and supportive partners, that it took me months to realize I really didn't have a story. I'm grateful to Geoff and Toby and everyone who was so welcoming when I arrived, and so understanding when I…uh, is there a sexier word for 'failed?'" The bigger reason may be the perception having a guy overseeing a movie with such an important female character in the DC Universe, especially after the response to Patty Jenkins' Wonder Woman. I guess this also confirms all of those post-Justice League rumors that Whedon was off the project. He denied them back then, but it was clear plans to have him take a bigger role within the DCEU had been scaled back. Now they've been scaled back so far he's got absolutely nothing to do. I guess it's always possible a Batgirl movie still happens with a female creative team, but I've found predicting what DC Films will do next is a fool's errand.